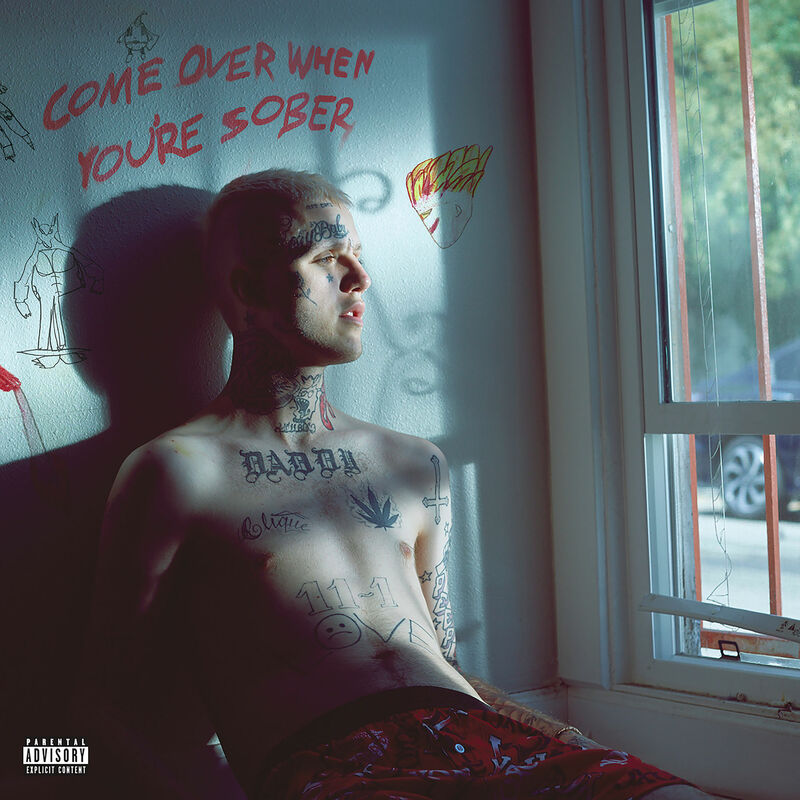 Lil Peep’s posthumous final album ‘Come Over When You’re Sober, Pt. 2’ shows how the late rapper was combatting his depression and looking up prior to his untimely death. Of the many celebrity deaths that occurred in the past three or so years, Lil Peep’s was the first that felt significant. Not to devalue the deaths of David Bowie, Leonard Cohen, or many others that passed away, but Lil Peep was a new artist that promised potential, where so many icons have passed as they’ve aged, Peep had just released his influential debut album and was being hailed not only as the future of rap but of emo too. Released November 9, 2018 via Columbia Records, Come Over When You’re Sober, Pt. 2 exhibits Peep’s best work and what we could’ve expected from the young Gustav Åhr. Despite Come Over When You’re Sober, Pt. 2 being twice the length of Pt. 1, it is Peep’s most concise and fully realized work. There isn’t a song that really lags or feels out of place. It’s the type of album you’d have hoped Lil Peep would’ve made. It’s a genre-crossing release that feels more weightless than Pt. 1. While there’s still a lot of sadness to Peep, Pt. 2 is an album of hope and community. There are less suicide ideations and more pieces about persevering through. Peep was still using drugs, still depressed, but he definitely adapted better to his circumstances. Take a track like “Cry Alone,” a track built more on a pop-punk instrumental where he talks about not succumbing to his sadness. It’s both a song of strength in weakness like The Wonder Years’ “Local Man Ruins Everything,” but it’s also a little more boastful a la Biggie’s “Juicy.” Even the bonus track, “Sunlight On Your Skin” sounds like it could’ve been a massive pop hit that would’ve made Peep a legitimate star rather than an underground icon teetering on the brink of the mainstream. Please don’t cry, you’re wastin’ your time. It’s much more tragic just knowing the self-medicating is what ultimately led to Peep’s death at a young age. It shows a sad cycle of addiction and abuse, and your heart breaks for Peep and his family. This is followed by “Life is Beautiful,” a softly uplifting track, and even though Peep seems to have been coping with his depression, “Life is Beautiful” shows how circumstance can make life comical or horrible, but Peep resolves that he believes that life is ultimately beautiful. While it’s still a little too early to really see where Lil Peep’s legacy will lead, Come Over When You’re Sober, Pt. 2 is a solemn glimpse into what could’ve been. Peep embraced genre-fluidity and ultimately was seeking to find light in the darkness. The many lyrics about depression and addiction definitely reflect the state of Peep’s life prior to his untimely death, but uplifting songs show that he was someone that gave hope to the artists he worked with and the fans who loved him.